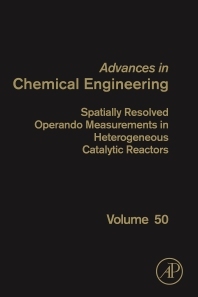 Spatially Resolved Operando Measurements in Heterogeneous Catalytic Reactors, Volume 50, presents the latest on these essential components in the continuing search for better utilization of raw materials and energy that reduces impact on the environment. This latest release includes valuable chapters that present tactics on Understanding the performance of automotive catalysts via spatial resolution of reactions inside honeycomb monoliths, Operando spectroscopy in catalytic reactors, Spatio-temporal phenomena in monolithic reactors measured by combined spatially-resolved mass spectrometry and optical frequency domain reflectrometry, and In-situ spatially resolved techniques for the investigation of packed bed catalytic reactors: Current status and future outlook. This series presents the latest reviews of the state-of-the-art of in heterogeneous catalytic reactors and processes. Anthony G. Dixon joined the Chemical Engineering faculty of Worcester Polytechnic Institute (WPI) in 1980 after obtaining his B.Sc. in Mathematics and his Ph.D. in Chemical Engineering from the University of Edinburgh (Scotland), and spending two years as an Assistant Scientist at the University of Wisconsin-Madison. 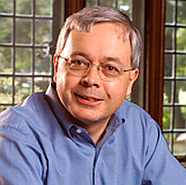 His research interests lie in chemical reaction engineering, including inorganic membrane reactors, heat transfer in chemical reactors, mathematical modeling and simulation, computational fluid dynamics and diffusion in porous catalysts. He has contributed research in recent years in particular on CFD in fixed bed reactors, and has co-authored over 100 journal papers in this and other reaction engineering areas. He has consulted in industry and collaborated with industrial groups, most notably with Johnson Matthey Catalysts on using CFD for catalyst design. He has received several awards for his educational work and research, including the 2009 WPI Board of Trustees’ Award for Outstanding Research and Creative Scholarship, and the 2001 William H. Corcoran Award for best paper appearing in Chemical Engineering Education. He is a Fellow of AIChE, and served as Conference Chair for the Computational Fluid Dynamics in Chemical Reaction Engineering IV Conference, Barga, Italy, 2005, as well as organizing the CFD in CRE or related sessions at AIChE meetings for over 16 years. He has also been a member of various other conference organizing committees and scientific committees. He is an Executive Editor for the journal Chemical Engineering Science, and is a member of the Editorial Board for the International Journal of Chemical Reactor Engineering and Advances in Chemical Engineering.